Dr. med. Michael Knorz is a trailblazer in Germany in the field of refractive and cataract surgery, who introduced the LASIK treatment in Germany and operated the first LASIK surgery in Germany. For his outstanding contribution and leadership in the fields of cataract and refractive surgery, he was voted as Top 50 Opinion leader in 2005, and in last five year，he has been selected five times on the FOCUS expect list. Professor Knorz was born in Ludwigshafen, Germany, studied medicine at Saarbruecken, medical school in Hamburg. In 1983, with his outstanding dissertation he passes the Doctoral Dissertation. After graduation, he only took six years to become the vice president of University Eye Hospital, Universitätsklinikum Manheim, and also, one of the main surgeon as well, responsible for the various types of surgery, including cataract, vitreous retinal surgery, corneal surgery. LASIK surgery and surgical procedures were developed by a American, Dr Peiman, who studied for 12 years, invented in June 1989.In 1993, Professor Knorz introduced this technology in Germany, He is the first German doctor who could do LASIK surgery. The following year, he introduced LASIK surgery in India, and operated the first case in India as well. Professor Knorz has made outstanding contribution to help tens of millions of people to get a clear view. In 2001, Professor Knorz , who gained rich experience in the field of LASIK treatment founded the the first German LASIK center at the University Eye Clinic Mannheim which in 1999 was converted into the FreeVis LASIK Center Mannheim. He served as the center’s president and medical director, responsible for LASIK surgery, intraocular contact lenses (phakic intraocular lenses), cataract surgery and refractive lens exchange, FreeVis LASIK center is a LASIK-TÜV Süd certified laser eye surgery center, the authentication represents the highest operation quality and safety standards, it can guide the patients to choose professional LASIK clinic. Professor Knorz keeps push on the development in the field of cataract and refractive surgery. Since 1988, he has work on the research sponsored by the Alcon –the world’s largest pharmaceutical and medical equipment company and other ophthalmic medical devices manufacturers. He made extraordinary contributions in the field. Professor Knorz is actively involved in the creation of standards of care in the field of refractive surgery, He was the chairman of the “Kommission Refraktive Chirurgie (KRC)” (committee on refractive surgery), a joint committee of the German Ophthalmological Association (Deutsche Ophthalmologische Gesellschaft,DOG) and the Professional Association of German Ophthalmological Association (Berufsverband der Augenärzte Deutschlands, BVA),which is responsible for standards of care in in refractive surgery certification of refractive surgery. He currently serves as the Secretary of the KRC. Professor Knorz is senior associate editor of the Journal of Refractive Surgery (JRS) and Past Chairman of the editorial board, Ocular Surgery News, Europe Edition. Professor Knorz’ main research areas are in cataract and refractive surgery, intraocular lenses and femtosecond laser technology. With 36 years of rich experience in ophthalmologist, has published over 60 original articles in peer reviewed journals, 50 book chapters, and a comprehensive textbook on phacoemulsification, recently printed in its second edition. Professor Knorz, who has published 500 articles word wild is also a professor, has regular teaching activities at the Baylor College of Medicine, Houston, Texas, USA and University of Heidelberg, Medical Faculty Manheim. He also conducted more than 500 phaco courses and refractive surgery courses in Europe and Asia. He cultivated a great deal of talents in the field of refractive and cataract surgery. 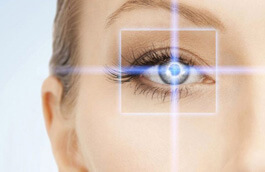 Nowadays, such a world-wide ophthalmological authority is in EuroEyes– Global Center of Excellence. It is the outstanding technology EuroEyes has in the field of refractive and cataract surgery and Dr. Jorgensen extraordinary charisma to attract Professor Knorz come to China, He will let patients in China accept a world-class treatment without going abroad, regain perfect vision!